The park was crowded on this Saturday afternoon. On either side of the High Line are beautiful tenement and office buildings. This week’s photo challenge is titled, “One Shot, Two Ways,” in which photographer Jeff Sinon asks us to capture two images of the same subject or scene in a horizontal and vertical photo orientation. Instead of pouring through my archived photos which contained several images that fit the bill for this photo challenge, I opted instead to take a walk downtown and visit a unique park situated on the West Side of downtown Manhattan. 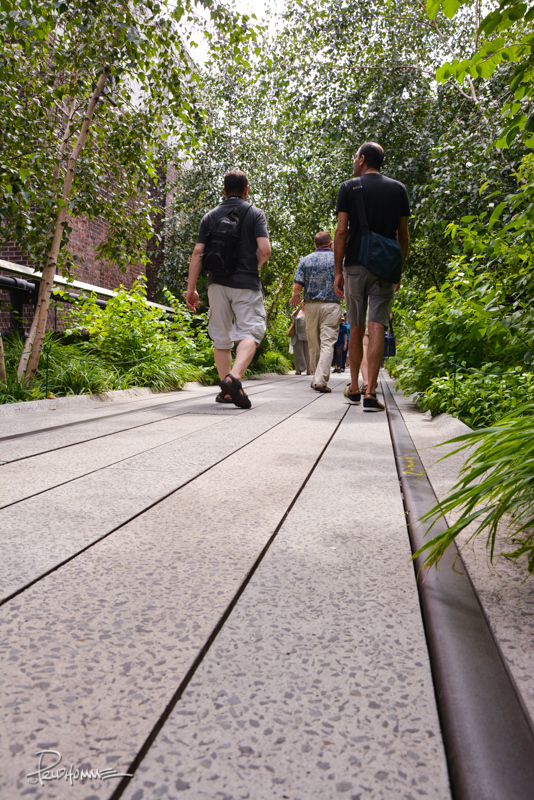 Called the High Line, this public park is built on a historic elevated train track above the streets of Manhattan. It runs from the Meatpacking district and ends around West 34th street, between 10th and 11th Avenues. 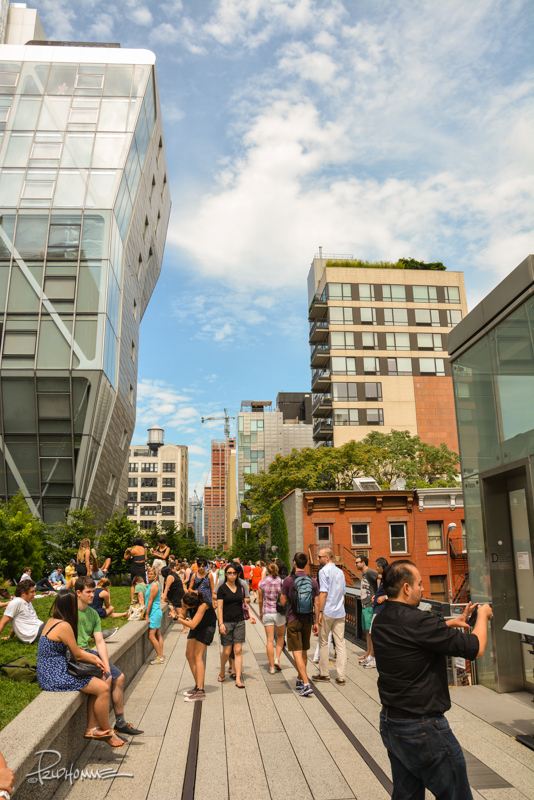 You can visit thehighline.org and get a virtual tour of this hidden gem in NYC. 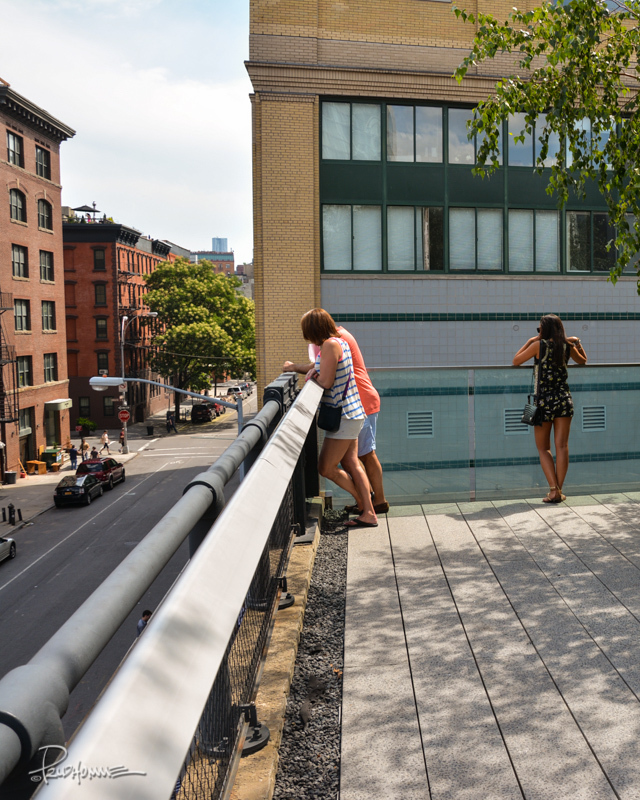 As I walked from 23rd street down to Gansevoort Street where the line ends, I observed both natives and tourists alike enjoy a stroll in the “park.” Sunbathers, picnickers, those enjoying a good read and photographers enjoyed the sunny day. I took a picture of the people by the 23rd Street Lawn but then hunched down and took another picture of the actual train tracks everyone was walking on. 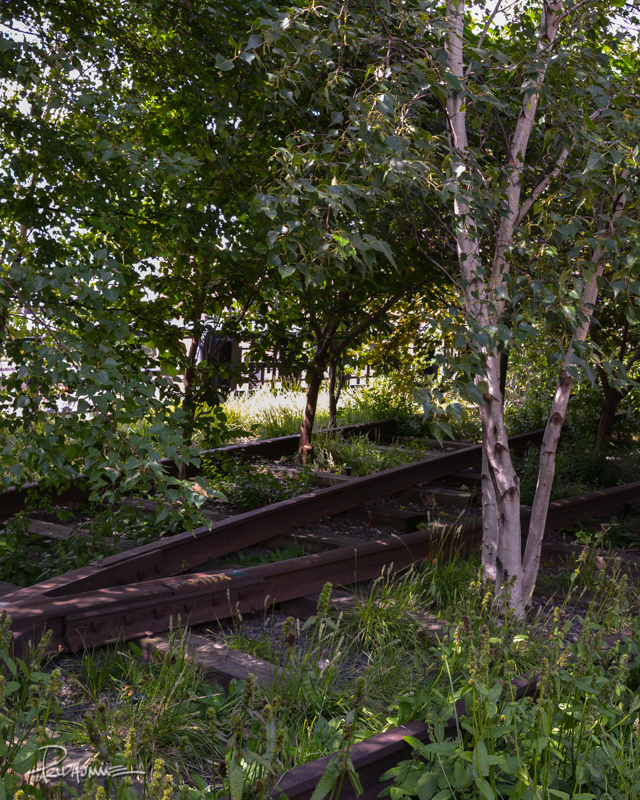 You can see large sections of the High Line still have the original train tracks laid out. 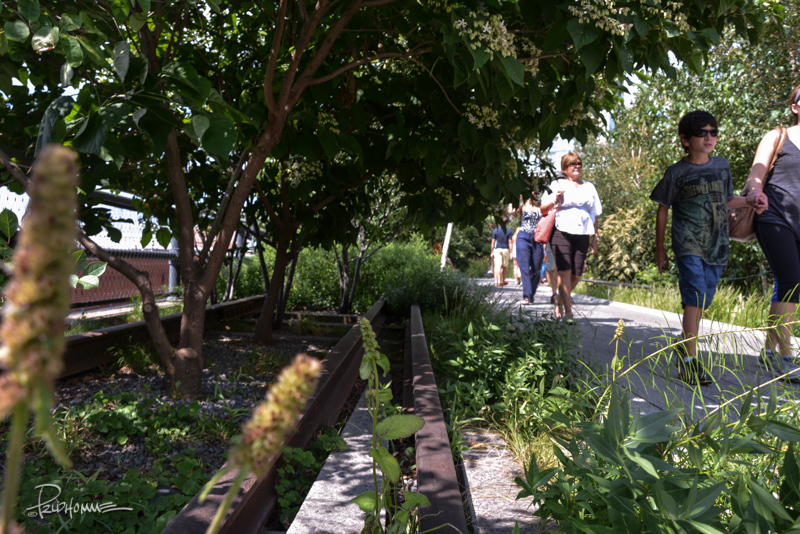 Parts of the High Line were overrun with dense foliage before being cleared away. Photographer Joel Sternfeld has a great collection of images before the park was constructed on the official web site. I reached the end of the line and peered out over the elevated platform and looked down to the street below. 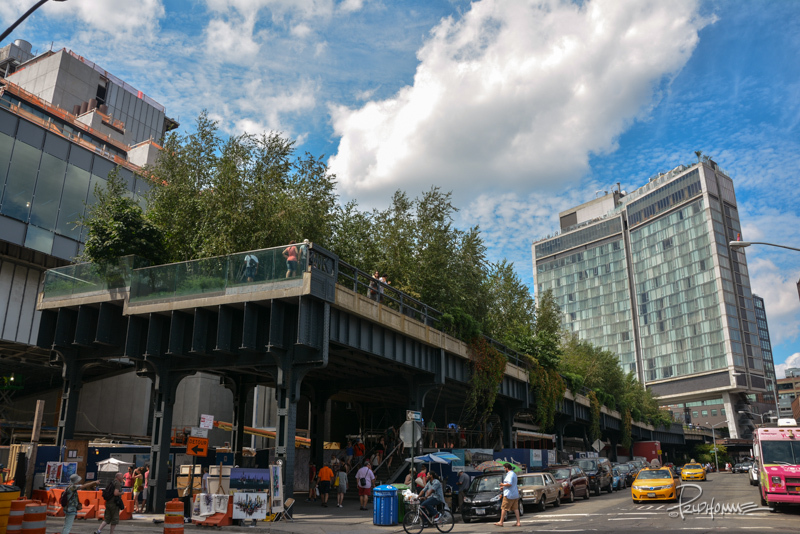 I exited on Gansevoort Street and Washington Street and took a parting shot of the same spot of the High Line from a different perspective. 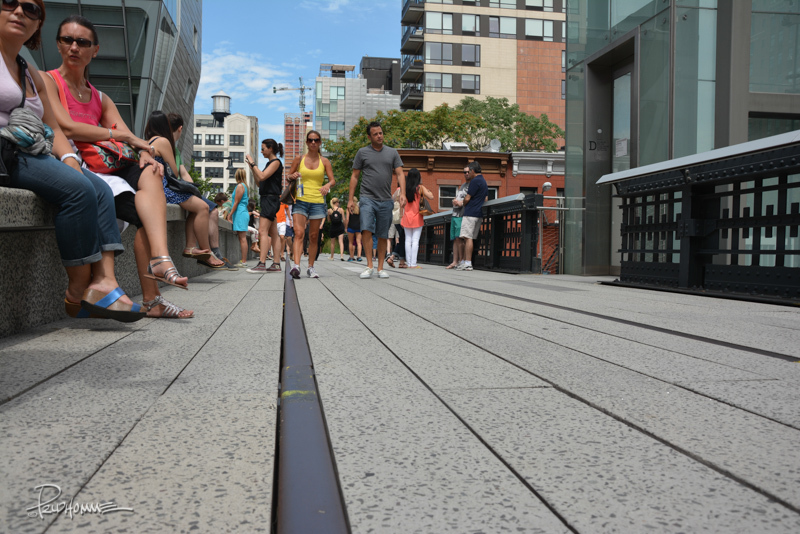 Reaching the end of the Line you can peek down below to Gansevoort and Washington Streets. From below, seeing so much foliage above the busy streets of NYC is an unusual sight.